For information about group meetings, click where and when groups meet, then click the group name. 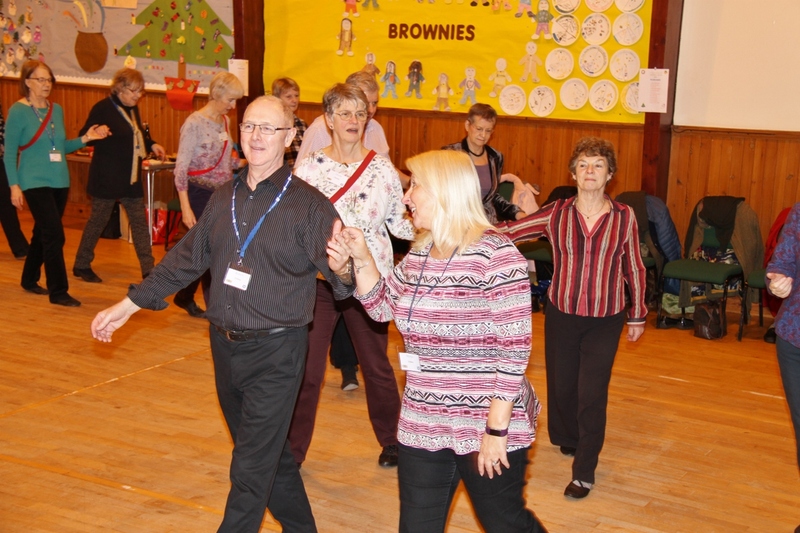 We aim to learn the dances that we are likely to find at a ceilidh, at the same time enjoying a bit of exercise and having fun. 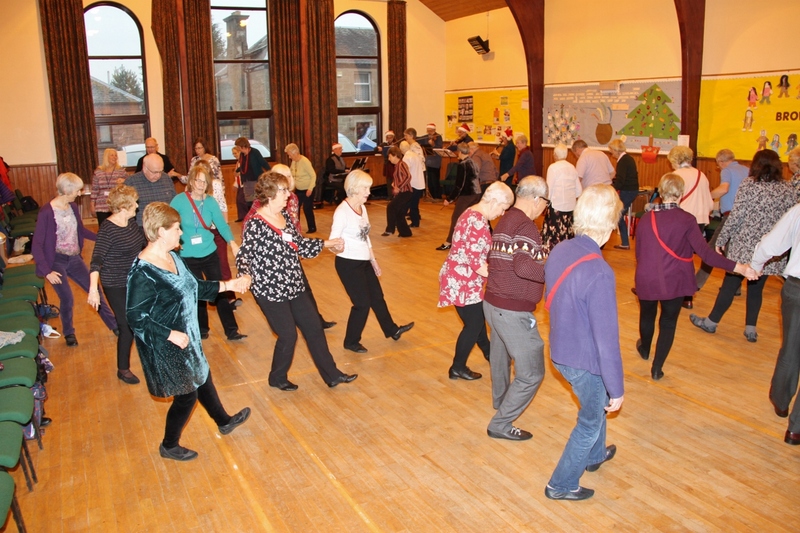 To maintain interest, we sometimes try simple Scottish country dances which provide an extra challenge. We enjoy this especially when the tricky dance is eventually concluded successfully! 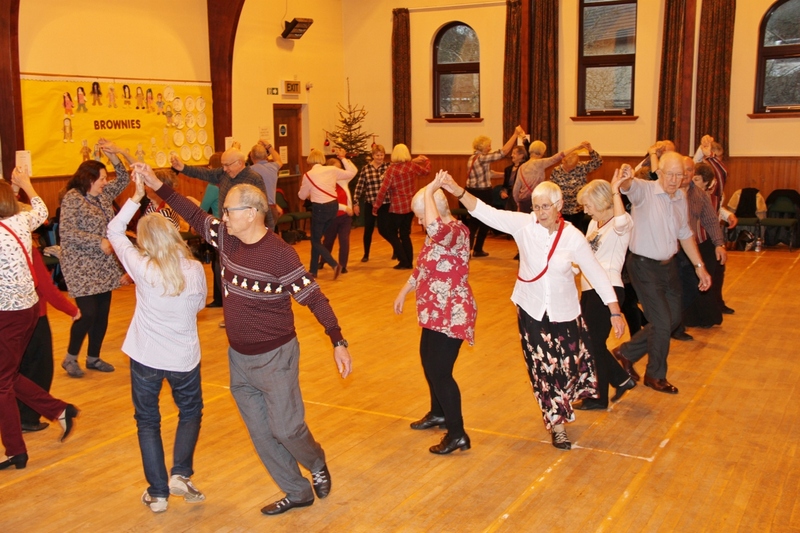 Our last meeting before Christmas was special with live music provided by the Perth U3A Traditional Music Group, instead of our usual CDs. 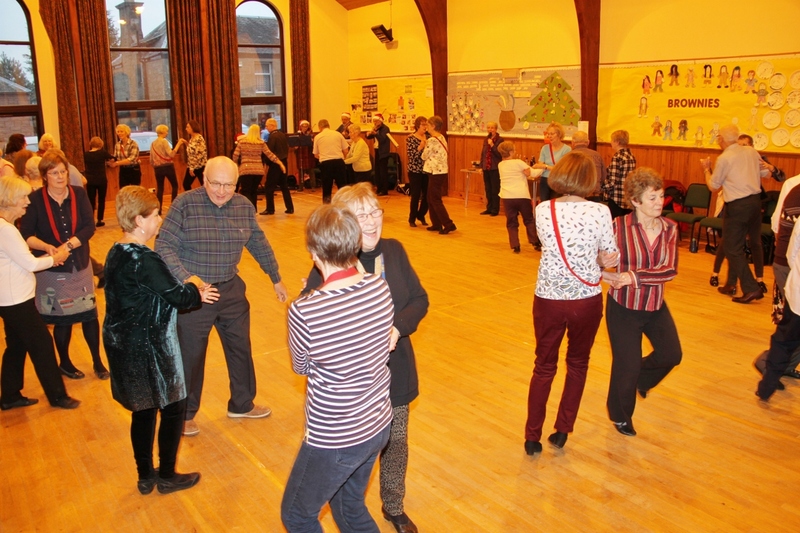 After the dancing, we consumed seasonal food and soft drinks and, as the photos show, everyone had a good time!